website in a search engine results by using keywords or phrases. webpage are done through Googlebot by collecting details from that webpage. way to allow the accessing to it. been built on the Internet. reflected on the search engine. keywords or phrases are used by the search engines to populate the subjects over the internet. 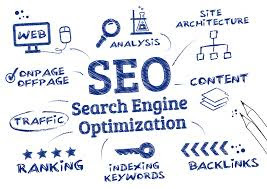 improve your ranking in the search engine. searched by the search engine than what is presented or searched by the users. hold until they prove worthy for ranking. In other words, it checks the standard of the website. by search engine guidelines is known as Black Hat SEO. an impact over page rank. our webpage or a website. returned by the search engine after a search query or attribute. title tags only the search engine will tell the user, what is there in the page. is the first element that is considered to be more responsible for ranking. (Search Engine Optimization) is used. car auctions, Bentley car, car race etc. make a search based on the relevant keywords and key phrases and look for the search result. The number of search result will tell you whether your SEO campaign is working or not. website that is ranked highly in search results. page text, titles and description. serious issues and re-work might be required. redirect and it is also useful in directing link juice to new url from old url . crawl errors, search queries, Indexing data, CTR etc. words in your article) multiply by 100.
indexing and caching of a webpage, file of a website or directory, domain. the contents to new domain? proper design, proper speed, proper use of images and many more. by using black hat techniques like cloaking and stuffing. remove it by using ‘Google Disavow tool’.